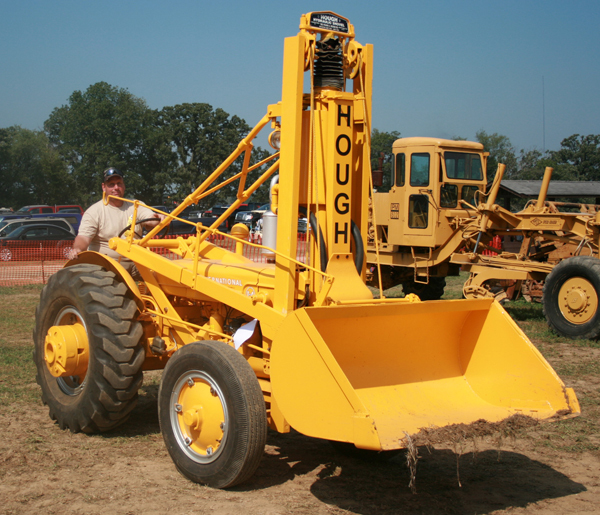 Hough built loader attachments for crawler and wheel tractors; this is on a 1945 I-H I-4. A bellows protects the unusual hydraulic lift cylinder. Mark Meyers of Marshfield, WI, is the owner.